The feats and accomplishments of Nisei during World War II opened up new opportunities for Americans of Japanese Ancestry (AJAs) after the war. AJAs took on leadership roles in government, business, the military and even sports. 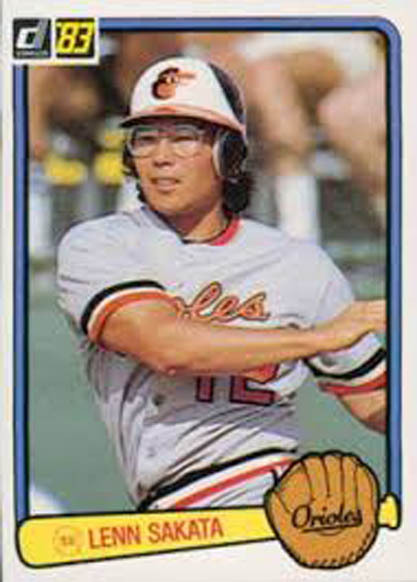 In 1983, Lenn Sakata — the son of a 552nd Field Artillery Battalion veteran — became the first Japanese American to play in the World Series. His team, the Baltimore Orioles, won the World Series that year. During his decade-long MLB career, from 1977 to 1987, he played for the Milwaukee Brewers, Baltimore Orioles, Oakland Athletics and New York Yankees. CNN Sports Illustrated selected Sakata as one of the 50 greatest sports figures in Hawaii history. He also was inducted into the Hawaii Sports Hall of Fame. 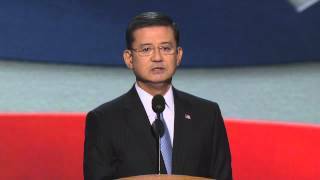 Meanwhile, General Eric Shinseki, became the first Asian American U.S. Army Chief of Staff on June 22, 1999. The third-generation Japanese American also was the first Asian American to be named a four-star general. 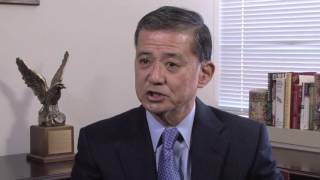 Shinseki was born less than a year after the Japanese attack on Pearl Harbor. Three of his uncles enlisted in the military and served in Europe as part of the 100th Infantry Battalion and 442nd Regimental Combat Team. 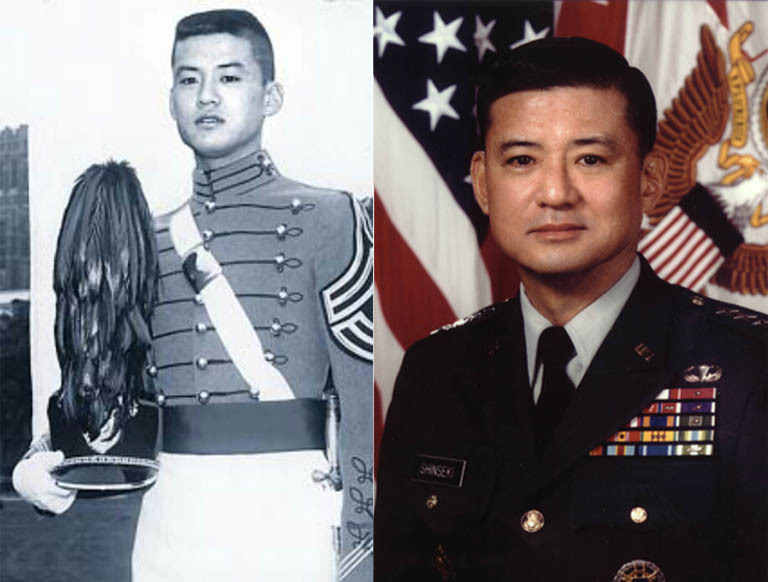 Inspired by his uncles’ service, Shinseki attended the U.S. Military Academy at West Point. During his long, illustrious career, the Kauai native was awarded numerous medals, including the Defense Distinguished Service Medal and Distinguished Service Medal, which is awarded to those who distinguish themselves by exceptionally meritorious service to the government in a duty of great responsibility. He served two combat tours in Vietnam and commanded North Atlantic Treaty Organization (NATO) peacekeeping forces in Bosnia-Herzegovina from 1997–1998. He also served as Army Chief of Staff from 1999 to 2003, then served as Secretary of the Department of Veterans Affairs from 2009 to 2014. He retired from the military in 2014, amid controversy over the wait times for veterans seeking healthcare. 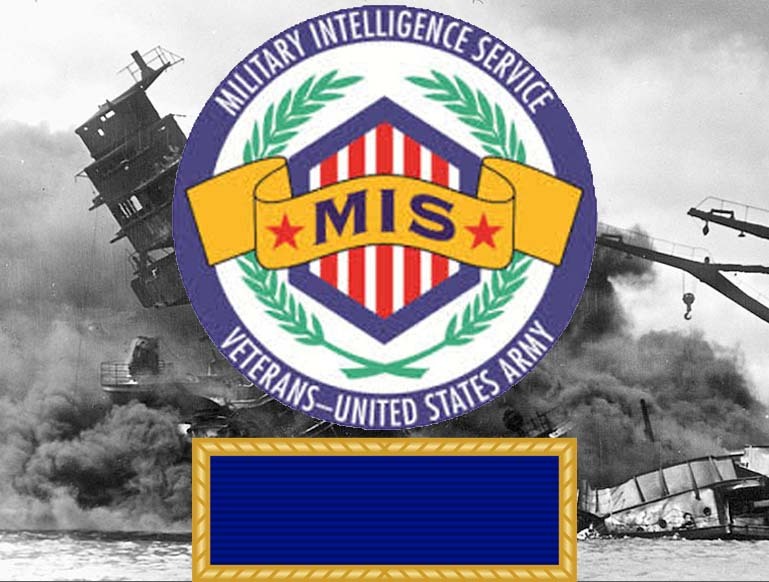 In April 2000, more than five decades after World War II, the Military Intelligence Service was belatedly awarded a Presidential Unit Citation, the highest honor given to a US military unit. The MIS was comprised primarily of Nisei trained as Japanese linguists. Two months later, 20 Nisei veterans belatedly received the Congressional Medal of Honor, the country's highest military honor. 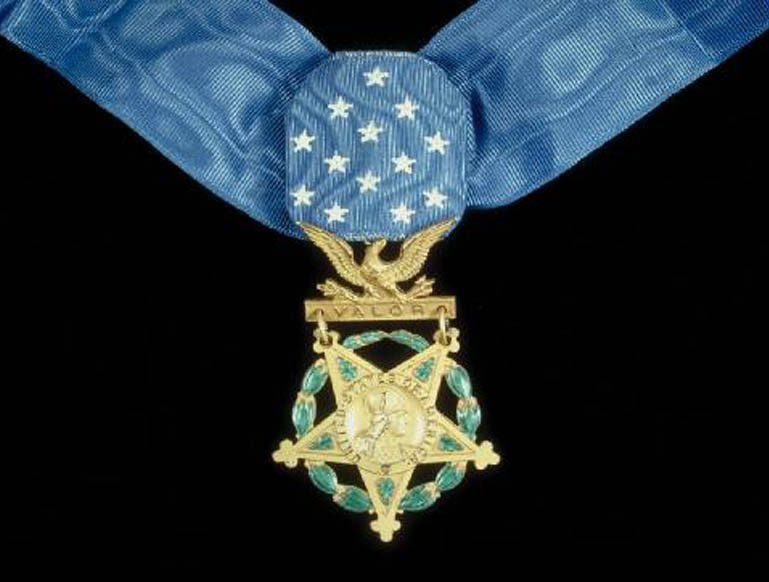 The belated honors came about after Sen. Daniel Akaka of Hawaii introduced legislation in 1995 to consider upgrading awards of Asian Americans and Pacific Islanders who had been awarded the Distinguished Service Cross or Navy Cross during World War II. Akaka had questioned the fairness of the award process, leading Congress to direct the Pentagon review. 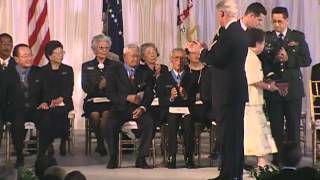 On June 21, 2000, President Bill Clinton presented Congressional Medals of Honors to 22 Asian Americans, including a Chinese American and a Filipino American. The 20 Japanese American veterans were all part of the 100th Infantry Battalion or 442nd Regimental Combat Team. Along with honors to individual Nisei, the Congressional Gold Medal —the highest civilian honor — was awarded to the Military Intelligence Service, 100th Infantry Battalion and 442nd Regimental Combat Team on October 5, 2010. The award is given to people or groups who have had a major impact on American history and culture. 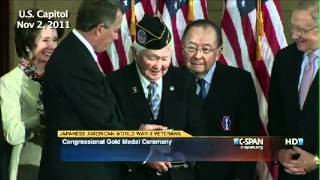 The presentation of the Congressional Gold Medal took place at the US Capitol Visitor Center in Washington D.C., with three Nisei veterans Mitsuo Ted Hamasu, Susumu Ito and Grant Ichikawa accepting the medal on behalf of their respective military units. “The award of the Congressional Gold Medal is testimony of our patriotism, loyalty and achievements. The Japanese American soldier experience is the story of the Greatness of America,” Terry Shima, a 442nd RCT veteran, said at the ceremony. In 2012, 34 surviving members of the 442nd Regimental Combat Team and 100th Infantry Battalion were made Chevaliers of the French Légion d'Honneur — France’s highest award — for their heroic rescue of the Lost Battalion outside of Biffontaine and their battles to liberate France from the Nazis during World War II. “Each of you are heroes who served on the front lines, fought in the battles, bled on the battlefield and helped liberate a nation. 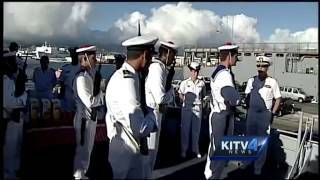 Gentlemen, your deeds are the stuff of legend,” said Adm. Harry B. Harris Jr., commander of the U.S. Navy Pacific Fleet, at the awards ceremony at the Japanese Cultural Center of Hawaii. First AJA to play in baseball's World Series, Lenn Sakata, son of 522nd FA Bn Veteran. First Asian American Army Chief of Staff: Sansei Gen. Eric Shinseki of Hawaii. MIS belatedly awarded Presidential Unit Citation. 20 Nisei belatedly receive the Congressional Medal of Honor in upgrading of medals following review. 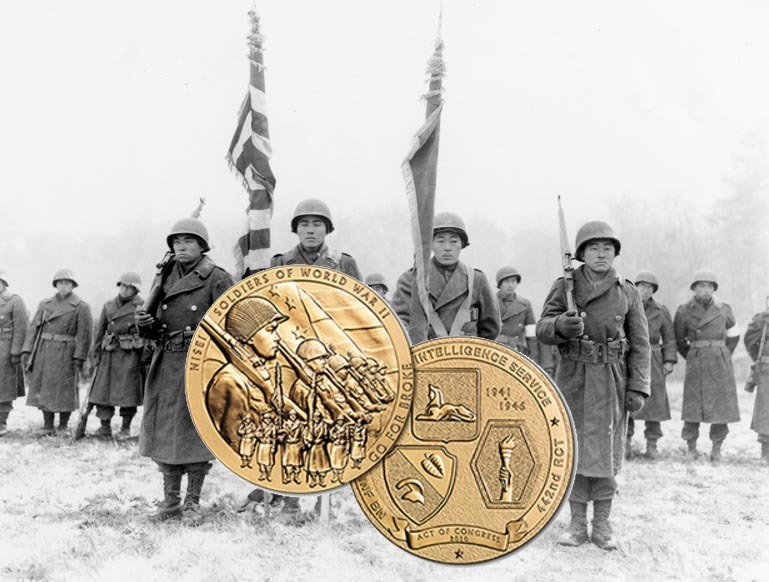 Congressional Gold Medal awarded to MIS, 100th Infantry Battalion and 442nd RCT. 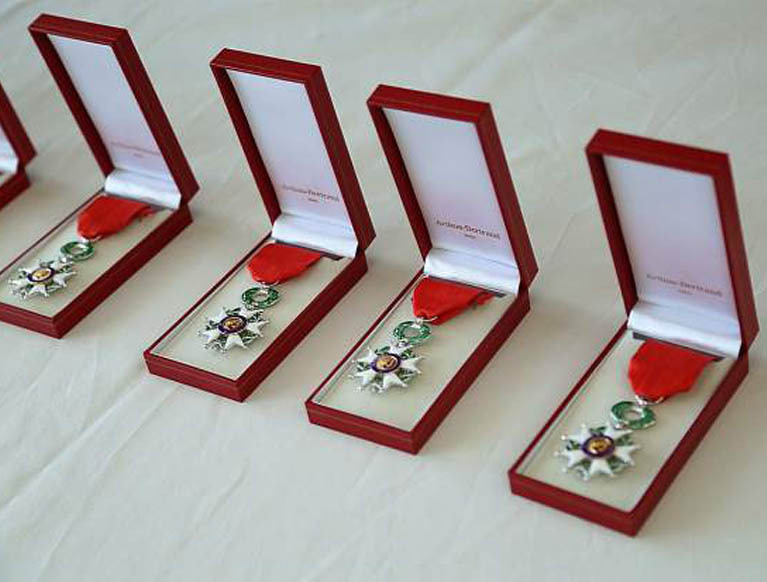 Surviving veterans awarded France's highest medal, Légion d'Honneur, with Chevalier rank.